Methadone clinics provide methadone treatment to opiate abusers as part of the overall Government service for abusers. Medical assessment and health education. 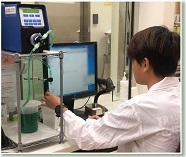 Dispensing of methadone for maintenance or detoxification therapy. Guidance and counselling by social workers. Referral to other drug treatment service agencies as appropriate.